If you are planning to start a web project, choosing web hosting will be one of your first and most important steps. It’s extremely important to choose web hosting with all proper features and high reliability. PHP is one of the most popular scripting languages, so opting for a company providing good PHP version and other features will help you develop a really stunning web project that will be doomed to success. How to Choose Good PHP Hosting? 1. Reliability. Really, this is even more important than PHP itself. Check several reviews and forums to find out if your potential web host has stable uptime, regular monitoring and backups. That all will let your project stay up and running non-stop. 2. PHP Version. Of course, if your website will be powered by PHP, you have to find hosting companies that offer its latest version (PHP 5.4 by now). Some web hosts even offer you several PHPs pre-installed, which is sometimes good for testing different scripts. 3. Hardware. Check different web hosts’ hardware options. If they have outdated servers, that may influence the productivity of your PHP. Moreover, the newer hardware your web host will have, the more safe your project will be. 4. MySQL Version. Processing MySQL databases is one of PHP script functions. The fresher your MySQL will be, the better it will cooperate with PHP. Currently, the latest version of MySQL is 5.5, however not so many web hosts already support it in their servers. 5. Other Coding Opportunities. Apart from PHP and MySQL, your web masters will have to use many different coding languages. It’d be great if their processors would be pre-installed in your server environment. The minimum we advise to pay special attention to includes Perl and Python, which are often important for developing agile solutions. 6. Support. It’s really good if your web host company has 24/7 support. That will allow you not only get immediate help in case of breakdowns, but also get assisted with fine hosting and website settings. 7. Dedicated IP address. This could be a nice bonus, especially if you are planning to start an eCommerce project. 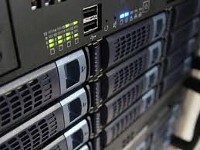 Check the prices for dedicated IPs before purchasing PHP hosting. 8. Other features. Apart from PHP, your hosting will also have to possess many important functions such as good control panel, website stats, one-click installs, additional domains, etc. And, of course, don’t forget the basics — disk space and bandwidth. 9. Pricing policy. Normally, prices for decent PHP hosting start at $4/mo. The numbers may vary, but check the web host’s reliability twice if their prices are below the mark we’ve indicated. 10. Free Domain. This could also be a great bonus for good PHP web hosting, though it’s not a must, of course. Still remember — having a free domain is always good, but you have to use it wisely, and choose a proper name. So, having this list on hands, you’ll be able to choose good PHP hosting that will match all needs of your web master. Of course, it’s quite a rare case that all enumerated features are offered by 1 provider, however having at least 7 or 8 of them in one plan would already be great. So, good luck, and may your project become a great success!